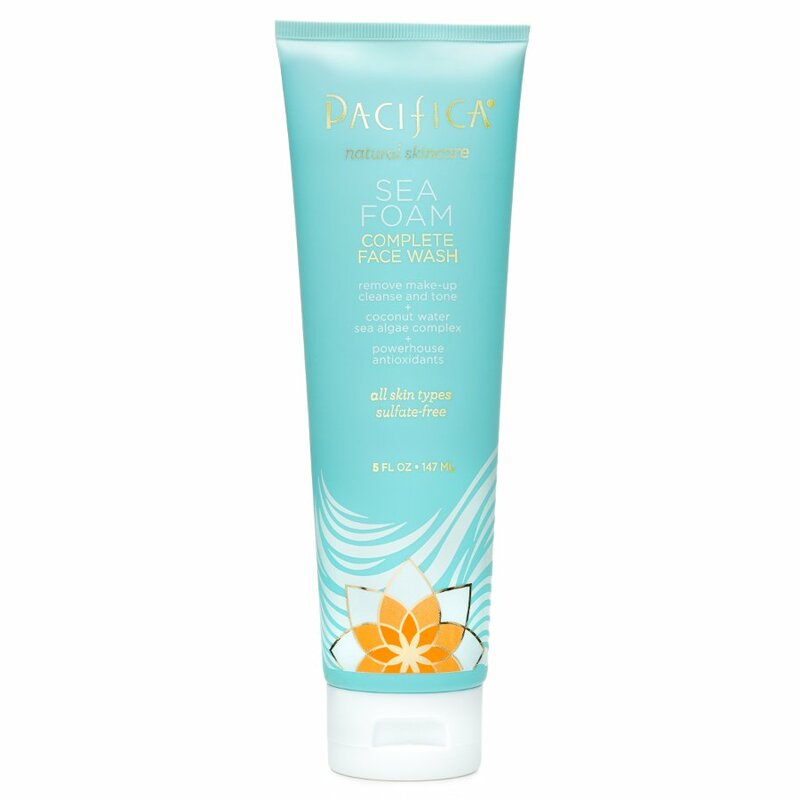 This Sea Foam Face Wash from Pacifica is suitable for all skin types and removes make-up, cleanses and tones. This sulphate-free face wash contains papaya extract which is a non-abrasive exfoliant and coconut water, which is a natural toner, skin balancer and cleanser. Sea algae extract helps normalise the skin's moisture content. All in all, this face wash brings the natural power of the sea into your home to refresh and revitalise your precious skin. purified water, cocomidopropyl betaine (coconut source), sodium cocoyl glutamate (coconut source), sodium cocoyl sulfoacetate (coconut source), sodium cocoamphoacetate, decyl glucoside (corn source), aloe barbadensis leaf juice, glycerin (vegetable), magnesium ascorbyl phosphate, glycol stearate, carica papaya extract, lemon bioflavanoids, cocos nucifera (coconut) oil, , cocos nucifera (coconut) water, citric acid, tocopherol acetate, panthenol, NaPCA, allantoin, nori extract, garcinia mangostana peel extract (mangosteen), camellia sinensis leaf extract (white tea),ÿSea algae extract, sodium benzoate, potassium sorbate, ethylhexylglycerin, fragrance (all natural). The Pacifica Face Wash Sea Foam - 150ml product ethics are indicated below. To learn more about these product ethics and to see related products, follow the links below. It smelt like plasticine to me which wasn't enjoyable. The foam made it feel drying and when rinsed with water, it creates bubbles which made it feel like hand soap... which is something I don't want for my face. Love this product. Smells great, leaves skin fresh. Vegan. It's quite expensive but you don't need to use a lot so it lasts a long time. There are currently no questions to display about Pacifica Face Wash Sea Foam - 150ml.